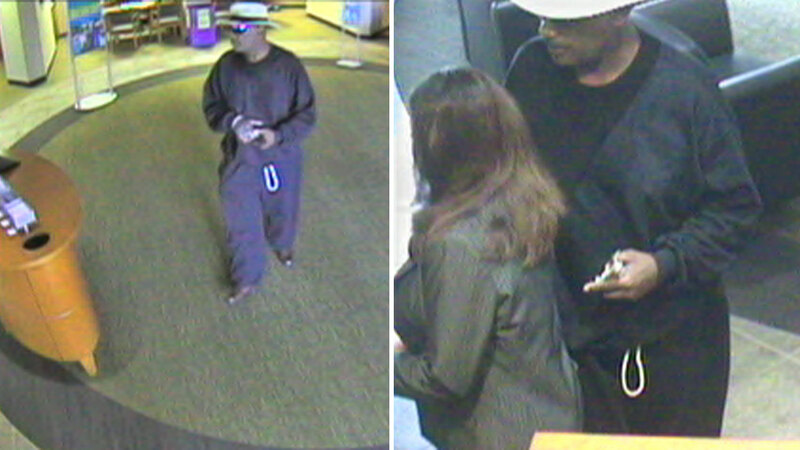 SUGAR LAND, TX (KTRK) -- Police are looking for an armed man who robbed a Sugar Land bank Tuesday morning. It happened just before noon at a bank in the 1800 block of State Highway 6. According to the Sugar Land Police Department, the man displayed a weapon, ordered everyone to the ground and demanded money. He left with an undisclosed amount of cash and was last seen running south on State Highway 6. He's described only as a middle-aged black man wearing all black, a straw hat and blue tinted sunglasses. Anyone with information should call the Sugar Land Police Department at 281-275-2540 or Fort Bend County Crime Stoppers at 281-342-TIPS (8477).